Provoked by the contrasting portrayals of Mary found in two Venetian Renaissance paintings – a beatified woman in Titian’s Assumption of the Virgin (1518) and a much more real, mother in mourning in Tintoretto’s The Crucifixion (1565) – Colm Tóibín presents one of the most foundational mother-son relationships in history in a profoundly humanizing narrative. 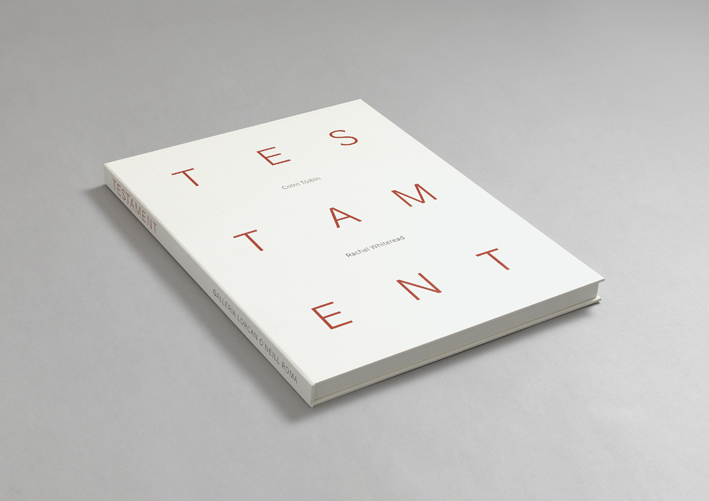 Written as a one-woman play, TESTAMENT debuted at the 2011 Dublin Theatre Festival and later premiered on Broadway in 2013 in a production directed by Deborah Warner, with Fiona Shaw as Mary. The original text was expanded in 2012 into the novella The Testament of Mary. Inspired by Tóibín’s portrait of Mary-as-mother, Rachel Whiteread has illustrated the text with photographs of personal objects she has collected over time. These ten unique images, including one of her mother’s own shoes, were produced by Whiteread in dialogue with Tóibín’s narrative and expressly for this project.